Your home is a unique expression of your style, self, lifestyle and the vision you have for spending time in your space. When you invest in a house, you want it to be beautiful, functional, convenient and comfortable in a way you can feel. As the aesthetic base of every room that offsets the walls, accents the furniture and makes or breaks the mood for the setting, your flooring is an essential part of your home design, functionality and longevity. Looking for an attractive, high-quality flooring option for your kitchen, living room, dining room and more? When it comes to a material that’s affordable, attractive and long-lasting, many homeowners choose hardwood floors. 50 Floor’s stunning natural wood flooring is a fantastic option for giving your home a classic look that will last for years – and you’ll love all the choices in our beautiful selection. As opposed to laminate flooring or artificial materials made to look as natural as possible, our solid hardwood flooring is all-natural and made entirely of timber from traditional and exotic materials like red oak, maple, walnut, cherry, bamboo and more. In addition to the variety of materials, natural wood flooring comes in a plethora of finishes, colors, sizes and styles. Elegant, durable and stylish, new hardwood floors are an excellent choice for your home. Not only are they affordable and cost-effective — adding to your home’s overall value — but they are also harvested from a sustainable resource, healthy for your home’s air quality and your family’s well-being and easy to maintain with regular cleaning. Your solid hardwood floors are a lifetime product — once you have installed them, they will be with you for the long-haul. 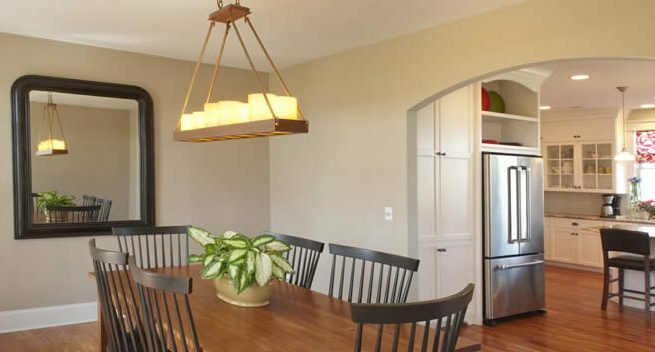 They also fit perfectly into any home design, from contemporary to rustic to traditional. In addition to your species and finish, you can choose the width and cut of your wood for a traditional, rustic look, a modern, exotic aesthetic and everything in between — hardwood flooring is extremely versatile. 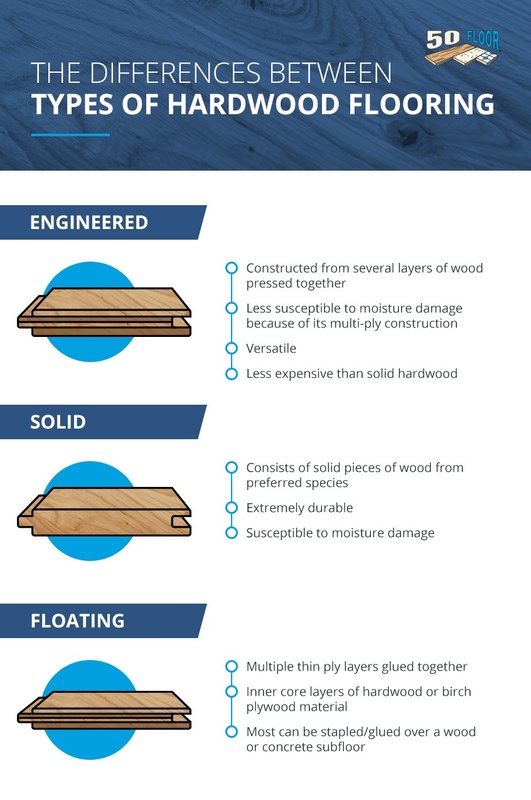 So you’re sold on solid hardwood flooring, but where can you find it and who should you choose for hardwood floor installation? When it comes to shopping for new floors, 50 Floor brings you convenience, expert knowledge and a huge variety of attractive options — all in the comfort of your own home. Our trained professionals will come to you with an enormous selection of flooring samples and a store of expert knowledge to help you consider your flooring options in the setting they’ll be installed and choose the hardwood floor that fits your home. When you’ve made your final choice, we’ll expertly and carefully handle all steps of the installation – from moving your furniture, removing your previous floors, installing your beautiful new flooring and replacing your furniture – we handle everything quickly and conveniently – usually in one day. Ready to refinish and revitalize your home to enjoy the look and feel of authentic hardwood flooring? When it comes to hardwood floor companies, there’s no better option than 50 Floor. Offering convenience, competitive pricing, excellent quality and an incredible variety of options, we’ll handle your hardwood floor installation with expertise. Make an appointment for your free in-home consultation to kick-start your installation today. Get 60% off all carpet, hardwood, vinyl, tile, and laminate.